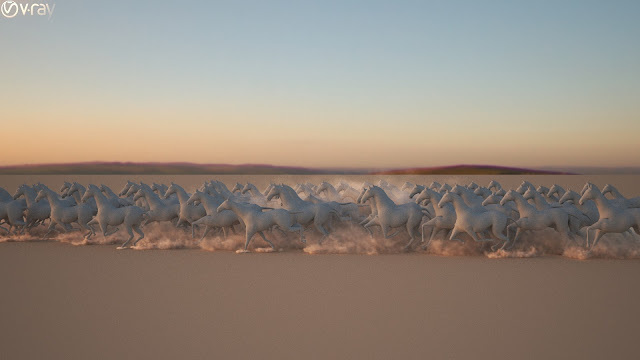 When dealing with complex scene, sometimes you have to adjust forces in the scene back and forth to get the desired results. 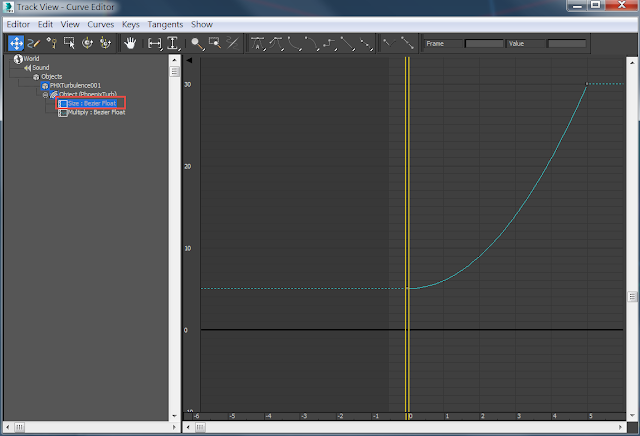 You have to change parameters, run the sim, render preview and change parameters again. 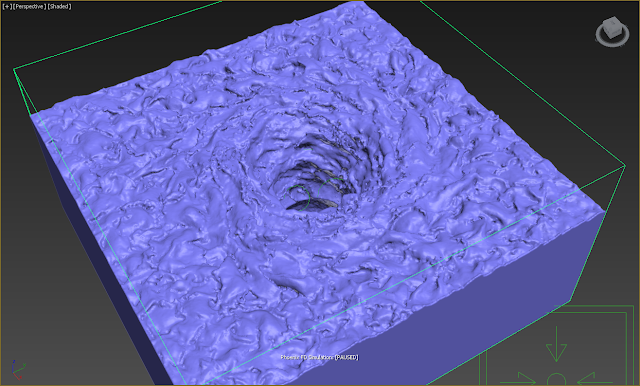 For creating ocean maelstrom, adding a vortex force might be a quick answer. However, finding the right parameters could be a nightmare for you. If the orbital speed too high, or it's falloff too short. Or if there is not enough radial pull. You might not be able to get the right maelstrom. 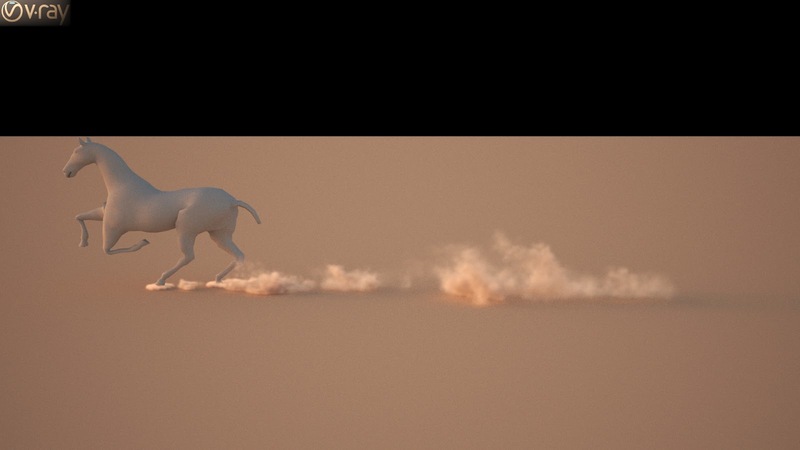 It will be a very tedious job if we have to mannualy adding smoke emitters at each hoof of horses. 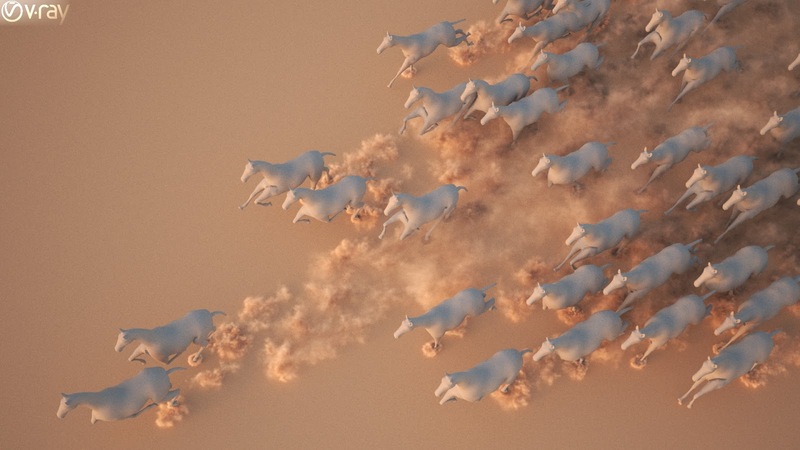 Fortunately, with the help of VRayDistance map, we could generate ground dust more procedurally. 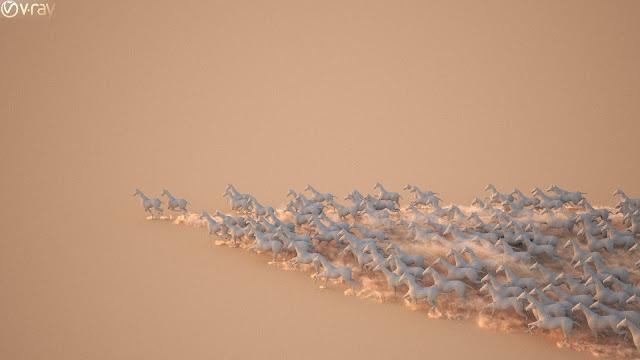 Here we have one single Alembic file containing hundreds of animated horse and one ground plane. We could apply a simple material with VRayDistanceTex to a ground plane to visualize the procedural texture. 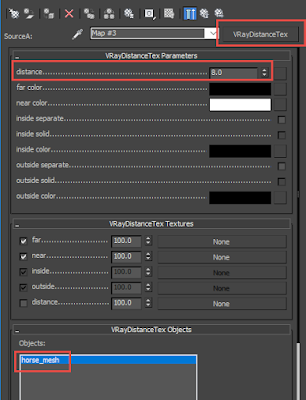 The VRayDistanceTex is a V-Ray specific procedural texture that returns a different color based on a point's distance to an object(s) specified in a selection list. 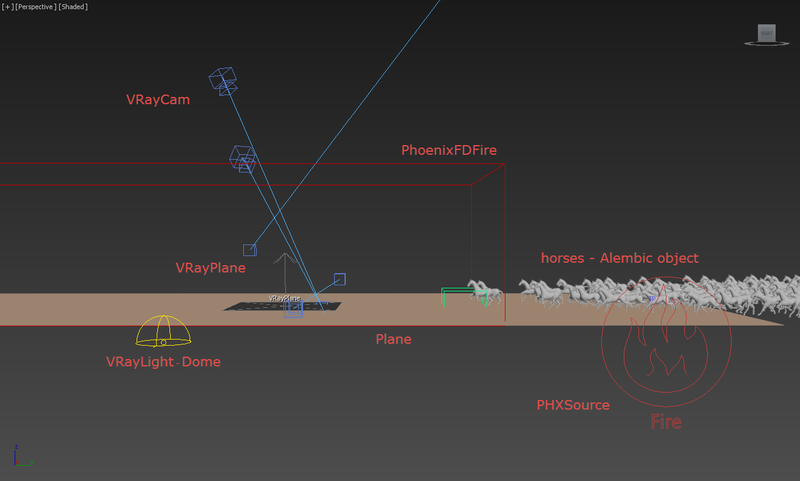 We could utilize this feature of VRayDistance and use it as a mask for Phoenix FD Source (smoke). Add ground plane in the emitter node, and in the Mask, use Texmap - VRayDistance. With this technique, the ground plane only emits smoke when horse' hoofs touch the ground. This trick is especially useful when we are dealing with a significant amount of animated objects. 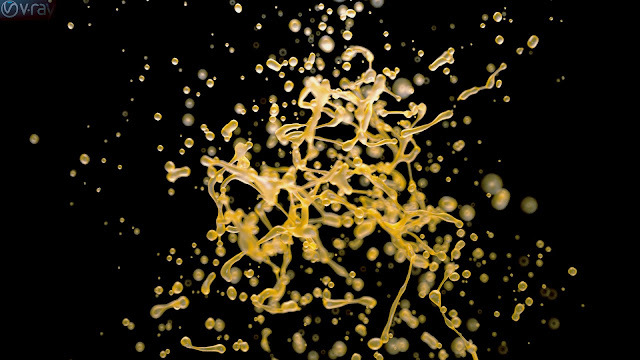 How could you explode a liquid in CG? 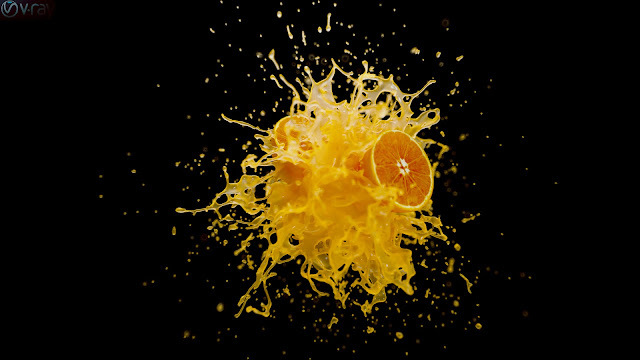 The most intuitive approach is to put a gravity in the center of orange with a negative value. Here we use Phoenix FD Turbulence to agitate the liquid, making it spray out. Create one Phoenix FD Turbulence in your scene and animate it's size and strength multiplier. From frame 0 to frame 5, set the value of Multiply from 1500 to 0. Adjust its animation cure as shown above. 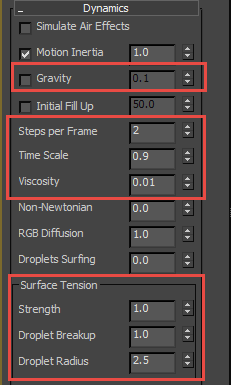 From frame 0 to frame 5, increase turbulence size from 5 to 30. Adjust its animation cure as shown above. Steps per Frame (SPF): Left: SPF = 1; right: SPF = 2. 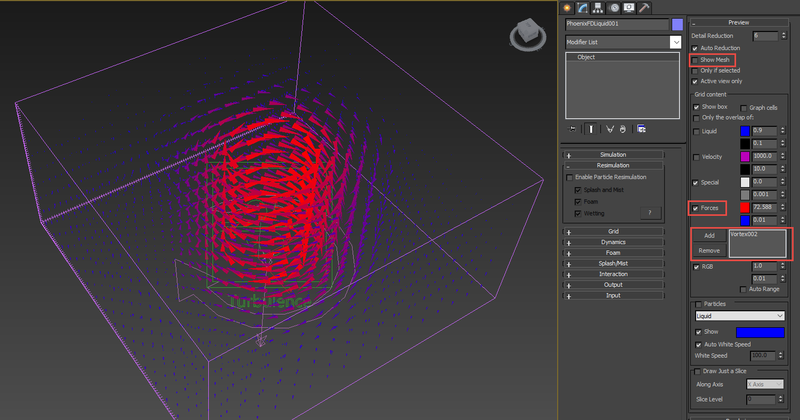 Here you can see how dramatic SPF is affecting liquid mesh. The default value ( SPF = 1) makes the liquid too diffuse. With appropriate dynamics settings for Phoenix FD liquid simulator, we can create a fruit explosion effect easily. 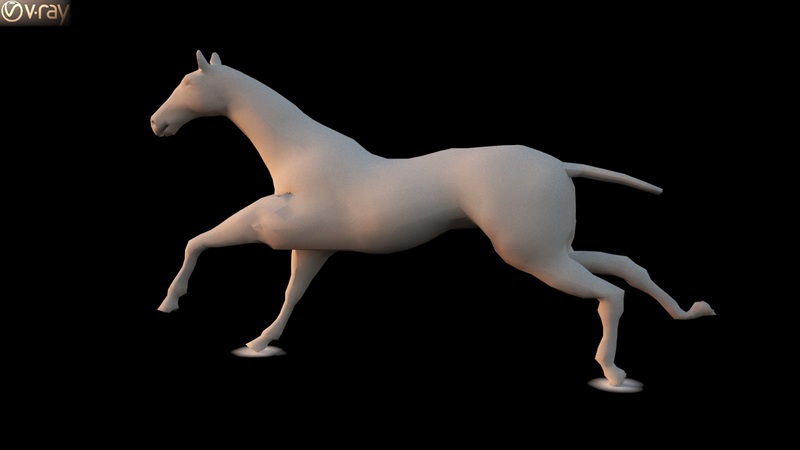 For step by step tutorial, and to download scene file, please check this official help page.